Together with friends from India, Gunjan Bhardwaj has successfully launched Innoplexus, a sophisticated ecosystem of continuous analytics, powered by artificial intelligence and machine learning.The goal: Innoplexus wants to become the European champion for AI. The chances: excellent. At 35, Gunjan Bhardwaj was an aspiring management consultant at Ernst & Young. The atmosphere for career development was excellent and he especially enjoyed the relationship with the senior partner. One day, however, the senior partner came to Bhardwaj with troubling news: he was suffering from cancer. The diagnosis was a shock. Although he knew that his colleague would have the advantage of being treated by a chief physician, he did not know whether the clinic had the necessary experience and knowledge to treat this particular diagnosis. Bhardwaj did what many people do in similar situations: he tried to find out everything important about the disease and its available treatments. Where do the best doctors work? What does the cutting-edge research indicate? Are there promising alternative therapies? Google provided Bhardwaj with a large number of results to his search queries, but the information was outdated, of dubious quality, or irrelevant. Bhardwaj also mobilized his professional network and explored the subject at the German Cancer Aid and in university hospitals. The information gathered became more precise and valuable. One question remained unanswered: Why is it not possible, in time of bits and bytes, to retrieve the latest knowledge on certain diseases and their treatments from the internet and databases all over the world at the touch of a button? An how can this be changed? From this challenge an ambitious company based in Eschborn near Frankfurt called Innoplexus was born, which has answered this question with revolutionary methods in mathematics and computer science. Together with a development team in India, Bhardwaj has developed a highly specialized search engine for the healthcare industry, a kind of super Google that pulls together professional knowledge from around the world. Innoplexus makes it possible to assemble the most important information relevant for a given research area from enormous amounts of data and in real time, avoiding the need for vetting by subject matter experts. The sophisticated search engine not only provides valuable information to patients and physicians, but also for pharmaceutical and biotechnology companies, accelerating research and development. They are able to access the latest state of knowledge much faster and more cost-effectively than before. The healthcare industry is just the beginning for Innoplexus. Bhardwaj is already working on adapting the search engine to enable its use in other areas such as financial services. Founding Innoplexus, in Germany no less, demonstrates Bhardwaj’s tenacity in the face of insurmountable problems and his skeptical attitude as to whether it is really advisable to do what many others already do. When he graduated from the Indian Institute of Technology (IIT) in Mumbai ten years ago, many of his fellow students moved to the United States. The elite Indian university produced the most so-called “unicorns”, startups with a value of at least one billion dollars, outside of the United States. However, Bhardwaj pursued other travel plans: he was interested in Germany as a center of business. When the German Academic Exchange Service (DAAD) offered him a scholarship, his decision was made. He found his new home in Baden-Württemberg, first at the Pforzheim University of Applied Sciences and later in Stuttgart as a young consultant at Ernst & Young. In general, the “Ländle” is not necessarily considered a simple terrain for newcomers. Regional peculiarities such as the famous “Kehrwoche” have often enough proved to be obstacles to integration. Bhardwaj is quite different. 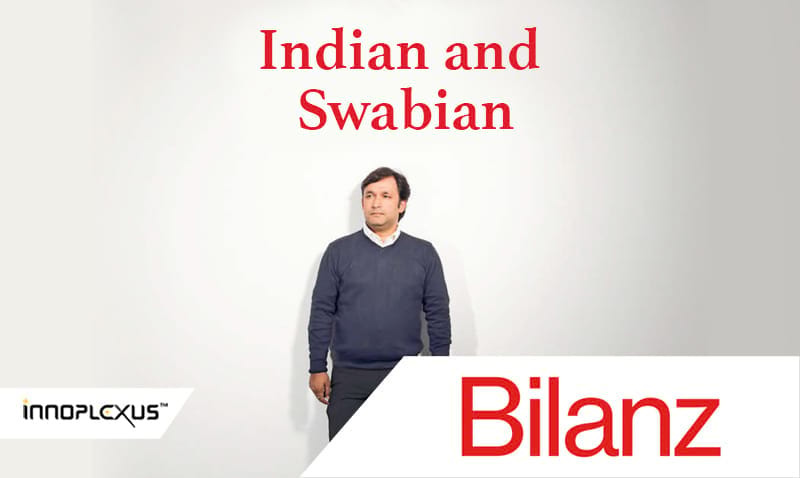 While there he developed into a self-proclaimed “Indian Swabian”. And that’s no exaggeration: the Stuttgart state government appointed Bhardwaj an honorary representative of the state of Baden-Württemberg to India, a kind of Swabian honorary representative for India. Bhardwaj also made friends with the Swabian virtue of work. At Ernst & Young he first worked in the German department for strategy and innovation but quickly became head of the global business performance think tank. Then the competitors of the Boston Consulting Group (BCG) became aware of his talents and enticed him away. Bhardwaj took his idea of building a reliable search system for global healthcare knowledge with him to BCG. He worked with them at their New York office with the team of Martin Reeves, a recognized expert on the healthcare system. Reeves encouraged Bhardwaj to push the project forward. His Mumbai study friend Gaurav Tripathi (35), a computer scientist, mathematician, and computer freak, became an increasingly important partner and just the right person to implement the project. The duo met several times in Mumbai and Stuttgart, wrote emails, exchanged information via Skype and discussed, developed, and improved the search algorithms. After all, the master plan was in place. There was only one catch: in order to extract the latest medical and pharmaceutical knowledge from databases, the algorithm had to understand the language of the health sciences. This required additional capacity for pharmaceutical and medical experts, programmers and blockchain specialists. And Tripathi and Bhardwaj needed money for that. The two found a creative solution: In 2011 they founded Innoplexus with a branch in Pune, India. Then they started a pilot project and sold the results in advance to a pharmaceutical company. Following this pattern, the Indian from Mumbai and the Indian Swabian from Stuttgart drove Innoplexus forward: they sold further projects and invested the proceeds in the development and implementation of their search engine. To do this, they first had to create some conditions. The fact that common search engines find it difficult to extract medical content from the internet or closed databases is also due to the language of science. If you enter the abbreviation “APR” in Google, for example, it will invariably return results in the fields of car tuning and nuclear energy. In pharmaceutical research, however, APR refers to a protein. In order to track it down with classical search engines, one has to search for a long time or restrict search terms, which rarely leads to new discoveries. Therefore, Bhardwaj and Tripathi put together a team to capture the technical language science and medical professionals and apply it to the software. This was an enormous task, as science jargon consists of about 26 million concepts and semantic associations. In addition, Innoplexus had to program its software with rules for determining inference and integrity to make conclusions and confirm their veracity and establish a network of information with logical relations to be able to extract the corresponding texts, documents, as well as unstructured data like videos, images, and presentations. To make all of this possible, the entrepreneurs had to develop crawling competence, the ability to search all available data warehouses for relevant results as quickly as possible. The result was iPlexus, Innoplexus’s core product, which combines trillions of data points and sifts information for the pharmaceutical industry from its vast data ocean. 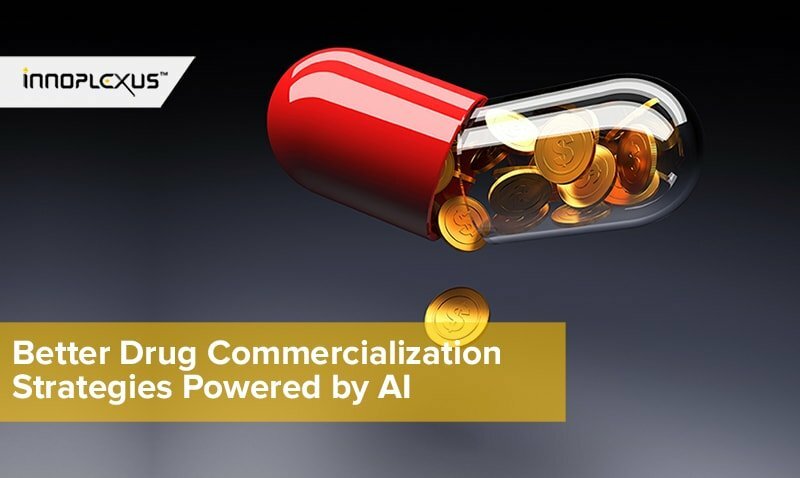 Building on this, Bhardwaj and Tripathi have devised special applications of this software that enable individual stages of drug development, such as clinical trials or market access. For the two founders product development was a major strength, transforming the startup into an international company in just a few years, with a third office now in Hoboken, New Jersey, near New York City. Innoplexus now employs more than 250 people, including 35 data and computer scientists and more than 70 software engineers, many of whom come from top research institutions such as the Max Planck Institute, Johns Hopkins University, and MIT. Innoplexus has collectively spent 500 man-years on its knowledge building and product development and has registered 65 patents to date, 50 of which in the field of artificial intelligence and 12 in blockchain technology. With Innoplexus, it is now possible to search one billion websites per day for the information you are looking for, sourced from medical congresses, patient forums, clinical studies, and patent registrations. Its algorithms digest the information, regardless of whether it is in the form of text, images, video, or sound recordings. The artificial intelligence built into the search engine decides whether it is worthwhile to search a website. In addition to the public information, Innoplexus opens up another world of data for its clients through its collaboration with research institutes and clinics in Asia, Europe, and the United States, making it possible to use blockchain technology to track down scientific publications, clinical studies, and experimental laboratory data, which previously only circulated behind closed circles. The blockchain functions like a decentralized accounting system that records exactly who is using a scientist’s intellectual property, thus preventing the theft of ideas. 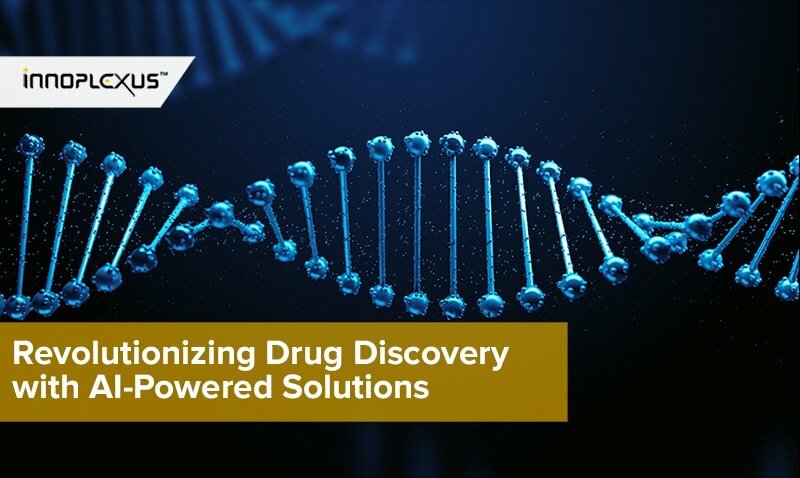 For pharmaceutical companies, this method offers a huge advantage by allowing them to stay abreast with the current state of scientific understanding, which before they could only even begin to do through expensive databases. 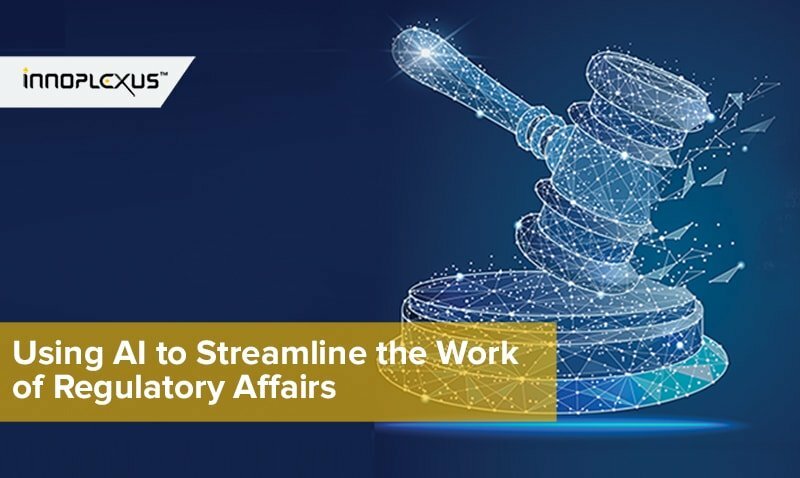 Although they were given extensive raw data sets, these had to be sifted through, evaluated, and processed by subject matter experts in an expensive and time-consuming process. Thanks to this new technology, Bhardwaj and his team allow searching, analysis and visualization in a single integrated operation and much faster. The time savings has already won Innoplexus a number of customers in the pharmaceutical industry, but there will be much more to come. Bhardwaj wants Innoplexus to become no less than “a European champion in the field of artificial intelligence”. For the marketing of their products, the young entrepreneurs have brought real experts on board last year such as Jürgen Raths, who previously established an information service provider for cardiologists and intensive care physicians at the US pharmaceutical company Eli Lilly and now holds the title of Chief Medical Officer, and Lawrence Ganti, who is to boost business in the critical US market, which alone accounts for almost half of the global market. 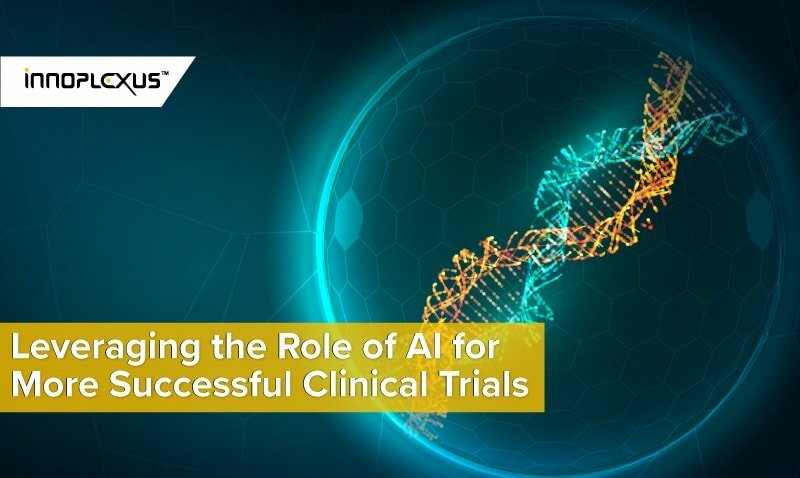 Ganti is one of the industry stars in America and has already made a career with Merck KGaA, most recently as President of the subsidiary in Latin America. With the marketing offensive in the pharmaceutical market, Bhardwaj now wants to trim Innoplexus for economic success – after all, this is also one of the Swabian virtues. He wants to prove that not only traditional industries thrive in Germany but also suppliers of future technologies. Originally published in: Bilanz, the German business magazine, October 2018.